There’s change afoot at Charlton House, with Greenwich Council planning to spin it off into a borough-wide heritage trust. The house has been owned by the council and its predecessors for nearly 90 years, but has always been overshadowed by higher-profile attractions, particularly since the push to rebrand the borough as “Royal Greenwich”. A new business plan has being drawn up for Charlton House, ahead of plans for it to be included in the borough-wide Heritage Trust. This focuses on new ways to maximise use, particularly wedding and conference/training business and will be done primarily through an increased presence in the market and coverage in the press. 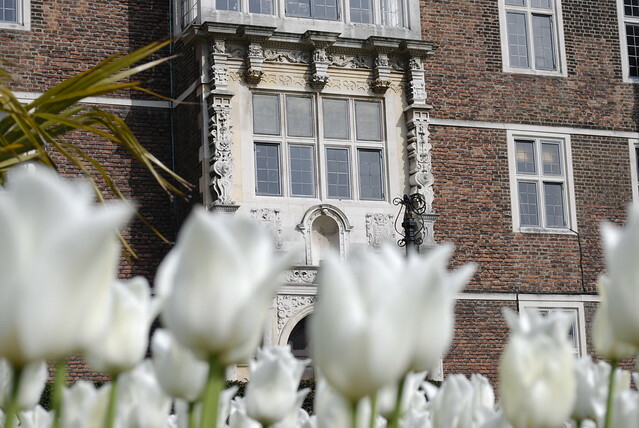 Ways in which to engage the local community are being explored through ‘Sharing Heritage’, a Heritage Lottery Fund open programme, in partnership with the Friends of Charlton House and local schools. In addition to providing meeting space for community groups, a series of evening and weekend social events will run throughout 2013, aimed at reaching new and more diverse audiences. This will be achieved through seeking and encouraging partnerships with local groups and businesses. The lack of proper publicity for Charlton House events has caused some furrowing of brows here at the Charlton Champion for some time – it recently gained a woefully fiddly website (see a bit here) which has since been taken down. Enquiries to the council as to how much the now-pulled website cost have so far drawn a blank. Otherwise, it seems to be relying on a Facebook page, and a Twitter feed which now doesn’t do anything much but redirect to the Facebook page. Oh, and a recently-installed street sign at the top of Charlton Church Lane, from where you can see Charlton House, pointing to Charlton House. Which is a shame, because “new and diverse audiences” is what Charlton House badly needs to reach – classical recitals scheduled for when most locals are at work simply aren’t going to be enough. Global Fusion Music and Arts has been putting on shows (see more on its Facebook page) including a folk night with Martin Carthy, but this can only be a start. It’ll be interesting to see what this business plan for Charlton House entails – and if Charlton House want people to spread the word, we’re only too happy to help. I was at the Martin Carthy gig; it was great to see the place packed out. There was a good atmosphere, and a sense that a lot of the crowd were local. If there are other events happening there that are that busy, they’re not – as you say – doing a great job of telling the world about them. I guess they’re probably a bit understaffed, though. I finally decided to book my refresher First Aid course this week. Last time, the nearest venue to me was Canary Wharf so I was chuffed when I searched my nearest and found it to be at Charlton House. Very convenient.